In the wake of the spike in fatalities at Santa Anita, the discussions continue about many of horse racing's long-held rules and traditions. Among them is use of the riding crop. In this edition of The Friday Show, Scott Jagow and Ray Paulick discuss the latest developments in California and share their thoughts on options for regulating whip use. 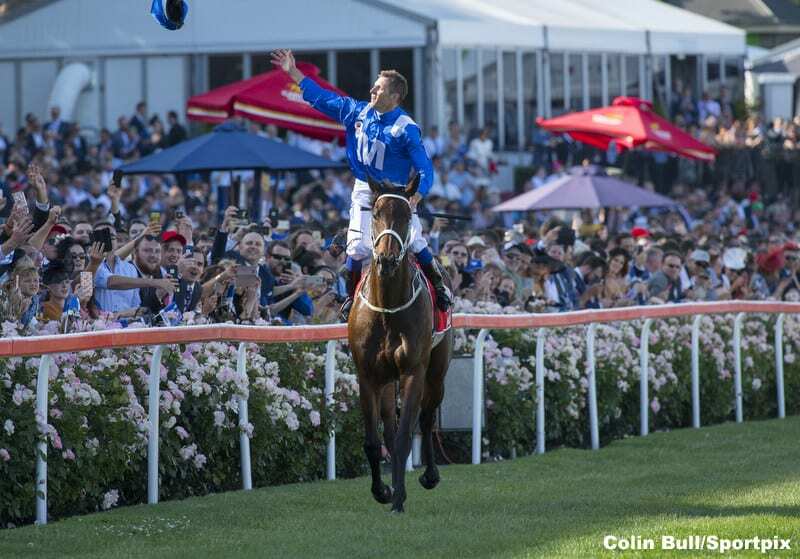 Plus, Australia's supermare, Winx, makes her final career start this weekend, bidding for an astonishing 33rd consecutive win, all in her home country. How will she be remembered? This entry was posted in NL Article, Ray's Paddock, The Friday Show, Videos and tagged Friday Show, Jockeys, Ray Paulick, riding crops, Scott Jagow, The Friday Show, whip use, whips, winx by Paulick Report Staff. Bookmark the permalink.